Could your home home use a thorough carpet cleaning, rug cleaning, or tile cleaning? At Larson’s Chem-Dry, we provide professional carpet and upholstery cleaning in Washington Terrace and the greater Ogden area. As a member of the Chem-Dry family, we’re able to offer our clients the power of the green-certified carpet cleaning solution, The Natural®. The Natural® is a hot carbonated cleaning solution that provides a deep carpet cleaning, rug cleaning, and upholstery cleaning that is safe for you, your family, and your pets. As experienced carpet cleaners, we’re committed to not just cleaner carpets, but a healthier home for you and your family. Our staff uses truck mounted equipment and our patented rotary cleaning machine to ensure your carpets and surfaces get the deepest cleaning with the fastest drying times – usually in as little as 1 to 2 hours! Do you have large area rugs that need attention? No problem. The Larson’s Chem-Dry rug cleaners will give your rugs the same level of attention they would to your carpets. Our specialized rug cleaners and carpet cleaners know that giving your surfaces a deep cleaning is the best way to keep them beautiful and keep you healthy. Our deep cleaning techniques not only removes the dirt and soils, but it also removes allergy and asthma triggers, pollutants and dust mite waste. Watch this video to learn more about our carbonated cleaning process! The family pet is another reason a thorough rug cleaning, carpet cleaning, and tile cleaning is essential. 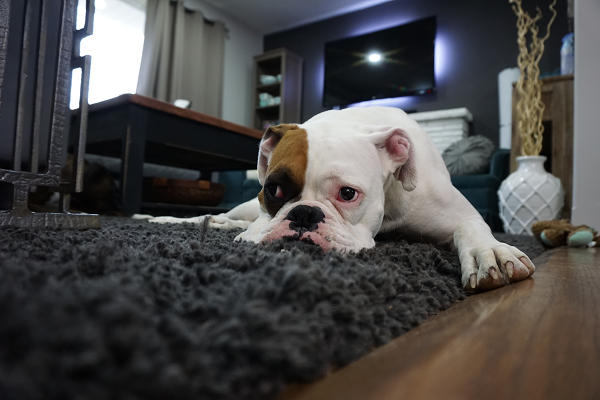 Pet waste and the allergens can ruin carpets and rugs and permanently stain your tiles. That’s where our experienced pet odor removal cleaners can help. Armed with our special Chem-Dry P.U.R.T.® product, not only will they ensure that your surfaces are thoroughly cleaned, but our pet odor cleaners can help restore your carpets and rugs to their full glory. Pet urine is one of the most difficult stains to remove. That’s because as it dries, the urine crystallizes and embeds in your carpet’s fiber. Our Pet Urine Removal Treatment (P.U.R.T.) doesn’t just use perfumes to mask the smell of pet urine. Instead, it works by going straight to the source, oxidizing the pet urine and breaking up the pet urine molecules. That means that the urine, and its smell, is gone for good. Tile and grout require special attention. When they’re first installed, they can be glorious. Over time, however, normal wear and tear can mark, scuff, and stain them. Improper cleaning can also lead to mold and mildew build up as well. At Larson’s Chem-Dry, we’ll work to restore their luster and ensure they’re thoroughly cleaned. For a name you can trust, turn to Larson’s Chem-Dry, serving Washington Terrace and the greater Ogden area. We love what we do, and more importantly, we know how to do it well. With our incredible services, we know you’ll fall in love with your carpets and rugs all over again. Give us a call or leave your contact information to schedule your appointment! We take pride in providing carpet cleaning services that really work at an affordable price. Using the patented Chem-Dry® equipment and solutions means that we clean deeper, but more gently. We remove stains, spots, and odor from deep within your carpet, not just the surface, so you know your carpet is really clean. We leave your carpets clean and fresh without soaking them with water and harsh chemicals. Most other cleaning methods force water down into your carpet fibers and padding, and through suction is used to remove the water, a large amount remains. This creates a breeding ground for mold, mildew and other bacteria that can be harmful to your home and family. When you choose Larson’s Chem-Dry, you can bet that your carpet will be dry in 1-2 hours, rather than the 1-2 days required by most carpet cleaning companies. Quicker drying means less time for mold and mildew to grow. 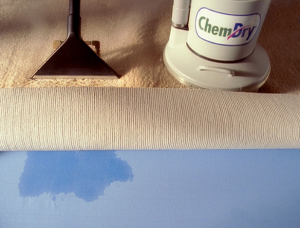 Clean your carpets the right way – call Larson’s Chem-Dry. We provide a drier, cleaner and healthier carpet cleaning experience. Larson’s Chem-Dry’s proprietary cleaning process removes 98% of allergens, 89% of airborne bacteria, and uses 80% less water than traditional steam cleaning.